Anushka Sharma said: "I got to work with people who were very nice and generous to me"
Actress Anushka Sharma, who made her Bollywood debut with Rab Ne Bana Di Jodi in 2008 opposite Shah Rukh Khan, will complete a decade in the industry on Thursday. Speaking in an interview to news agency PTI, Anushka said that the film "changed her life" and it will the "most special thing that she has ever done". "I got to work with people who were very nice and generous to me. I share a beautiful equation with all of them even now. I am blessed to be working on this film. It changed my life. It is something that is going to be the most special thing I have done," PTI quoted the actress as saying. 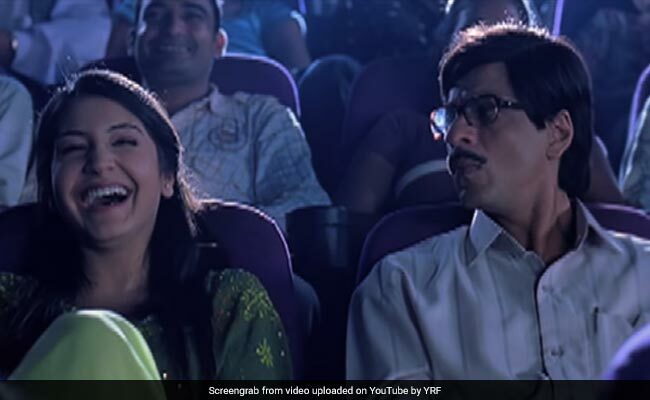 Rab Ne Bana Di Jodi was directed by Aditya Chopra and reminiscing about how the filmmaker and his father Yash Chopra "boosted her confidence" Anushka said: "Adi (Aditya Chopra, director) used to say that 'we have taken you because you can stand on your own against anyone'. Yashji (Yash Chopra) had also said the same. For a young person like me to hear that was a huge confidence booster," Anushka added. Speaking about how Anushka Sharma prepped for her role in the film, she said: "I valued the art I was in, I valued acting a lot, I paid attention and worked towards it. I would read the same script almost every day, finding something new in it to do. They understood the hard work I was putting into the film. And the only reason I was so confident when I did the film is because I was so prepared. Confidence comes because you work so hard." Rab Ne Bana Di Jodi was a romantic comedy which revolved around the lives of two totally different characters Surinder Sahni (Shah Rukh Khan) and Tanni (Anushka Sharma). Rab Ne Bana Di Jodi became Shah Rukh Khan's highest-grossing film at the time of its release. Anushka Sharma is currently awaiting the release of Zero her upcoming film, which also stars SRK and Katrina Kaif. SRK is playing the role of a vertically challenged man in the film while Anushka features as a specially abled scientist, Aafia Yusufzai. The film is all set to hit the screens on December 21.